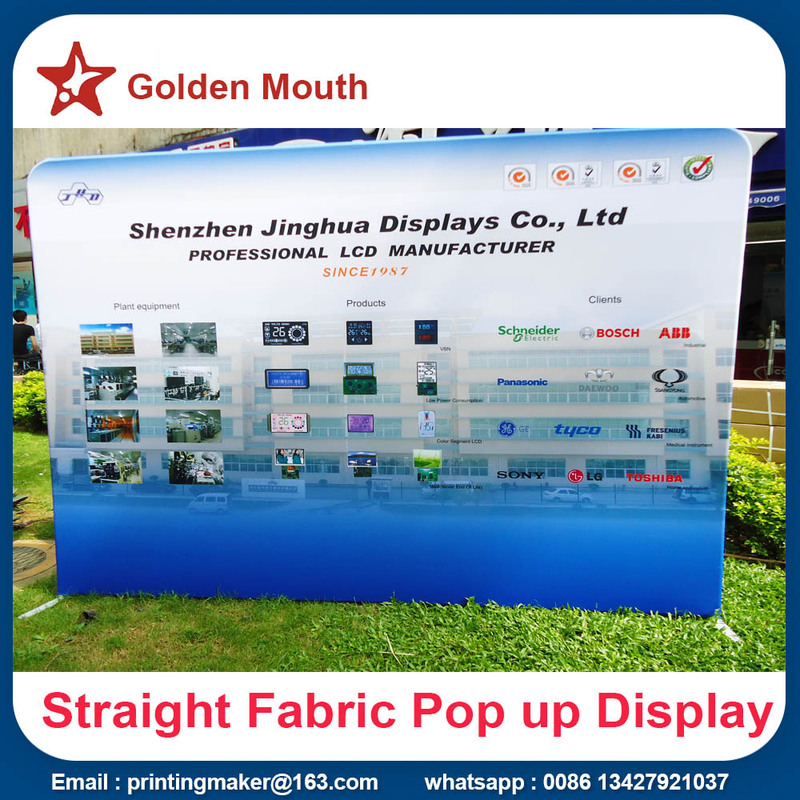 Product categories of Straight Tension Fabric Pop Up Display, we are specialized manufacturers from China, Straight Tension Fabric Displays, Straight Pop Up Display suppliers/factory, wholesale high-quality products of Straight Fabric Display R & D and manufacturing, we have the perfect after-sales service and technical support. Look forward to your cooperation! It completes with individual 600 D carry bag and box to make it is easy to stock and carry . 30 mm diameter top quality aluminum frame makes it is very strong and durable .You can use them many times and just need to change the graphic banner for tradeshow ,events,meeting ect.